Today I had the opportunity to run a 1/2 day nearshore trip and a 3/4 day offshore trip. On the first trip this morning my crew wanted to go and catch some good ol black Sea Bass. About an hour into the trip I heard a guy yell, look at the big ol shark. 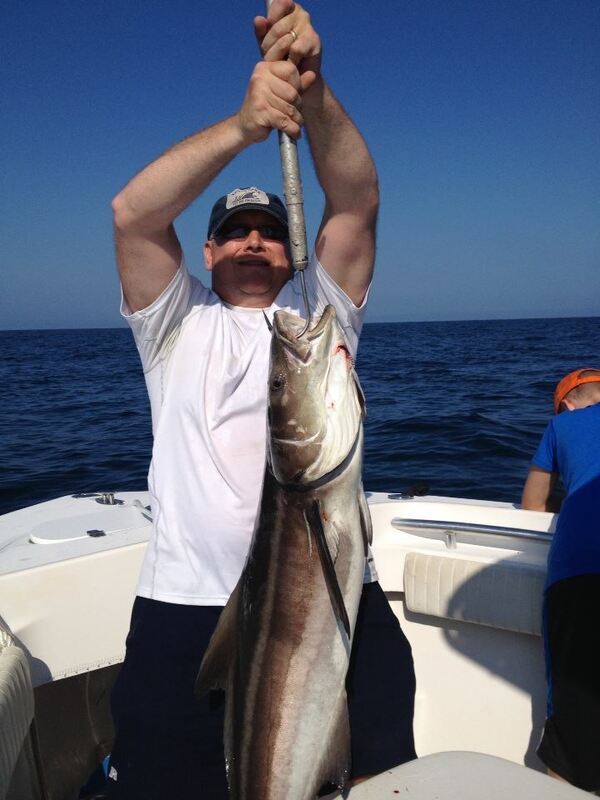 Well it was a monster Cobia cruising right behind the boat. The fish decided to eat a live pogy and we landed the fish after about a 30 minute fight. 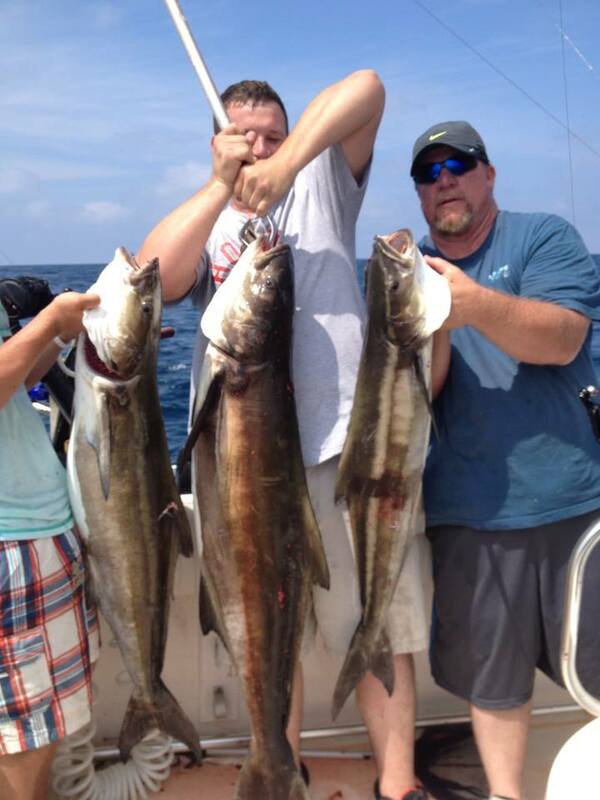 On the second trip we ran offshore to some live bottom that always produces quality fish for me this time of year. 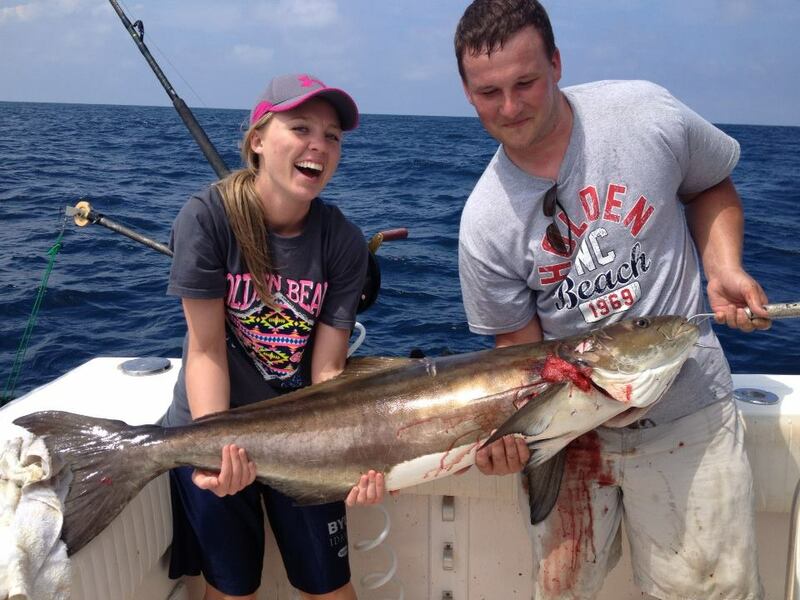 We ended up catching 3 monster Cobia, 6 Amber jacks and a ton of bottom fish.